First off, be sure to check out The Beer Buddha's Top Of The Hops ticket give away! 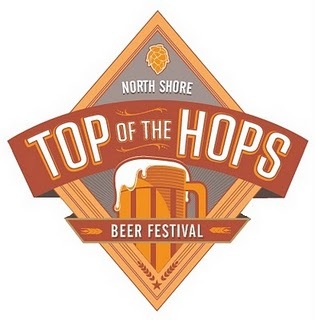 The give away is in particular for the North Shore edition of the Top Of The Hops beer festival. The breweries for 2011 haven't been announced yet, but there were a lot of good beers to try last year! Unforunately this one is March 19th so I'll be busy with the St. Patrick's Day parade, but there is also the Top Of The Hops in Lafayette on April 9th so maybe I'll see some people there! If anyone is planning on hitting up the North Shore tasting you might want to consider taking the bus to and from via The Avenue Pub on St. Charles Street. Details can be found on Facebook here: http://www.facebook.com/#!/AvenuePubNOLA but it's a good way to minimize driving, parking, and maximize the beer! Also... another post from The Beer Buddha, about a Schmaltz Brewing beer dinner hosted by the Martin Wine Cellar location in Metairie. Looks delicious, and should be some pretty good beer that hasn't proliferated the BR market yet. Maybe the Martin Wine Cellar in Baton Rouge will be hosting similar beer dinners in the future? We can only hope!